IN RECENT years Shetland’s own constitutional position in an ever-shifting national context has come into sharp focus. With another general election round the corner, Brexit negotiation about to begin and a second Scottish independence referendum looming over the horizon many argue that the time is right for more self-determination. But what sort of autonomy should Shetland be looking for? 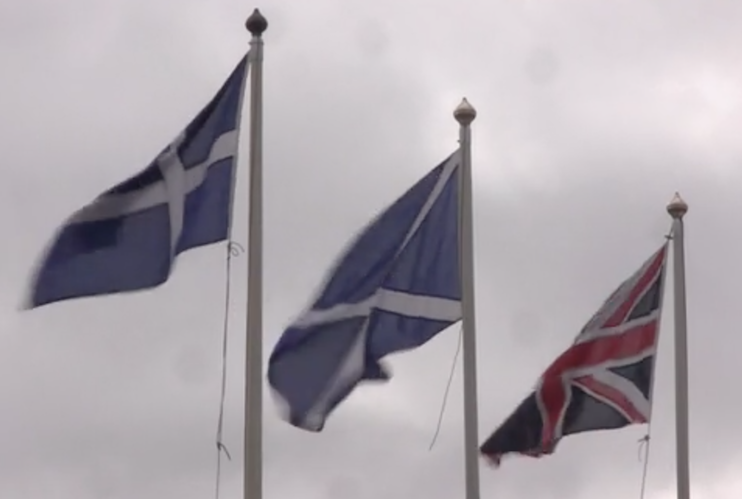 Is it full blown independence, or a self governing status with in the UK – or within Scotland – or is lobbying for further devolution of rights as done by the Our Islands Our Future (OIOF) initiative the right way to go? Of the 24 responses we received, no one was in favour of less power for local government, but some were sceptical whether Shetland could handle more – while others strongly support more autonomy and viewed the OIOF process as too timid. Lynsay Cunningham: “Our Islands Our Future is great in theory but if the Scottish Government had not stepped in and called a moratorium on school closures what would our rural areas currently look like? “If the argument is we would have more money so we would not need to shut schools, well I fear that if the council had money as it has had previously it would still spend it on ludicrous vanity projects. “Until we can get a handle on the council’s spending and supporting rural Shetland, more powers to Shetland would not provide any advantage to the North Isles. Duncan Simpson: “I am a strong believer in autonomy for Shetland. I believe OIOF has the right intentions but I am concerned over it’s lack of tangible progress since it was created. No response from Cecil Hughson. No responses from Alistair Cooper and Isobel Johnson. Steven Coutts: “There is absolutely no question that powers and responsibilities should be at the lowest level possible. “Firstly, we need to resist attempts to centralise decision making nationally, or have central government dictate to us. But crucially as well as having increased powers and responsibilities we must be either (i) adequately resourced to do so, (ii) have the ability to raise income to allow us to discharge our powers. Catherine Hughson: “In favour of further autonomy, accepting that would be contrary to the current centralisation drive by the Scottish Government. Debbie Nicolson: “I would like to see Shetland gain more autonomy and to see the different models of autonomy discussed at all levels in the community; ie at community council and local public meetings. Gary Robinson: “Yes, absolutely. It’s an established fact that when decisions are taken closer to the people that they affect then you get better decisions. Brexit and the anticipated IndyRef2 should both provide further opportunities to pursue this agenda. “A recent report by the Fraser of Allander Institute advocated more fiscal autonomy for councils. This should be followed up as it would allow us to keep more of the taxes and revenues collected locally to spend locally. Theo Smith: “I would support greater autonomy for Shetland Islands Council. I think in the last five years the council has proven it is capable of running more of its own affairs. “Our Islands Our Future has achieved a great deal. It has convinced the Scottish Government to appoint an Islands Minister and an Islands Bill is on the way together with an agreement to island-proof legislation which should greatly decrease the one-size-fits-all scenario. Julie Buchan: “Shetland should certainly be seeking greater autonomy through OIOF, especially with another general election looming that could give Westminster carte blanche over a Brexit deal. Davie Sandison: “I will continue to support campaigns to bring decision making powers to Shetland. The Our Islands Our Future initiative will take time but has already resulted in commitments to an Islands Bill and to island proofing of new legislation and many other positive steps. Ian Scott: “I believe that Our Islands Our Future is nothing other than laughable. “We have our council leaders traipsing throughout the length and breadth of Scotland being patronised by anyone who cares to meet them. I believe indeed that a national newspaper awarded them a prize. What other evidence do you need? “What similarity is there between Shetland and the Western Isles, other than that we are a handful of islands on the periphery of Scotland – absolutely none. Malcolm Bell: “Yes. Over the last 30 years government of all colours have stripped councils of power and responsibility. “These include responsibility relating to local taxation, business rates, water and sewage, environmental protection, fire and rescue and policing. Many of what were formerly council responsibilities have been transferred to centrally appointed quangos. This is bad for local democracy. Stephen Leask: “I was at an Althing debate on this issue a few weeks ago and listened with interest to the speakers on this subject. No response from Thomas Williamson. Frances Valente: “Shetland has a huge amount of natural resources at our disposal and unfortunately we do not achieve the maximum benefit from this, and so there is a good case to argue for having greater autonomy over this. “We should not have to fight so hard with Holyrood for decent subsidies to our public transport system for example, as the Shetland economy contributes so much more to the GDP. Beatrice Wishart: “I support the Our Islands Our Future and what has been achieved so far – island-proofing, a dedicated islands minister and an Islands Bill. No responses from Cecil Smith and Amanda Westlake. George Smith: “Our Islands Our Future needs to see the lobbying work done with the UK and Scottish governments turned into action in the lifetime of the next council. “Transfer of Crown Estate powers to Shetland, the passing of the Islands Bill and the commitment to island proofing of all Scottish Parliament legislation will undoubtedly benefit Shetland. “In addition the council must continue to press the Scottish Government for fair financial settlements for the funding of transport and education in particular which recognises the unique circumstances of delivering such services in island communities. No response from Allison Duncan.